Built for practicality and comfort, the Hyundai i800 is a top choice for motorists who need to transport a large number of passengers on a regular basis. Ideal as a large family car or a chauffer vehicle, it comes with eight full-size seats and plenty of room for luggage too. Better still, the interior is impressively flexible, which makes shaping the i800 to match your requirements quick and simple. 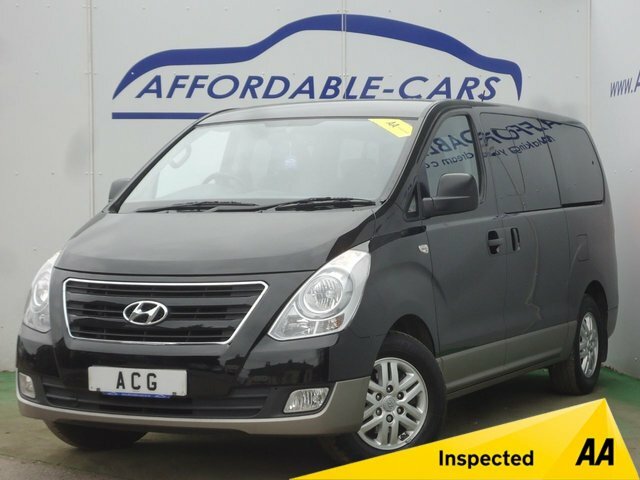 Discover more by paying a visit to Affordable Cars (Yorkshire) Ltd today and view our current range of used Hyundai i800 models for sale in York. Our friendly showroom team members will be on hand to offer advice and guidance when required.